Innsbruck, Austria, features a very safe living environment. According to our city rankings, this is a good place to live with high ratings in housing, business freedom and healthcare. Sign up to see your personalized city data, salary and cost of living comparisons. Sign up for a free Teleport account to personalize city data. Budget your housing and living costs, salaries and jobs. 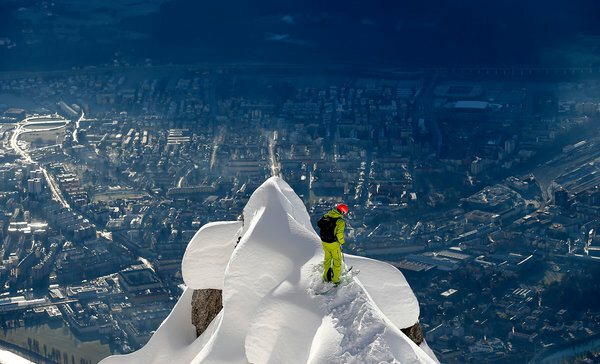 Costs of living in Innsbruck are in the most expensive 20 percent of all 248 Teleport cities. Sign up for free to get access to our cost of living index and use our international cost of living calculator to do cost comparison by city. Software Engineer salaries in Innsbruck are below average. For this job type, Innsbruck ranks 167th for salaries among 265 cities. Get access to our salary comparison calculator by signing up. Compare salaries city by city with our free salary wizard and convert your own salary to a local salary in Innsbruck. Do locals recommend living in Innsbruck? How could Innsbruck improve to make it a more liveable city? We will make sure that the local government will know about the suggestions that reach enough votes*. You can be the first! 😊 Tell us something that can be improved about your city. Is Innsbruck a great place to live? What makes it special for you? What makes it liveable? What should others know about? Why should they move here? Why do you love it? You can be the first! 😊 Tell us something nice about your city. Standard tax rate. Different rates might apply for certain product categories. Looking for a job in Innsbruck? Let the jobs come to you! Sign up with your email and we’ll start working on getting job offers from Innsbruck delivered to you. It's free. No strings attached. You can unsubscribe anytime. What kind of job are you looking for? The overall crime rate puts Innsbruck in position 47 of 266 Teleport Cities in a ranking for the safest cities. Sure, you can ski nearby. But the “capital” of the Austrian Alps pulses to everything après, from upscale dining to all-night dance clubs. Innsbruck is the fifth-largest city in Austria and the provincial capital of Tyrol, as well as one of the largest cities in the Alps. Located in a valley of the river Inn between mountain ranges of above 2000 m above sea level, halfway between Bavaria and northern Italy, it is a hub of a region popular for skiing and other mountain-related activities and a busy tourist destination. Its popularity as a winter sports resort was underscored by its hosting the Winter Olympic Games twice. The first mention of Innsbruck dates back to the reign of Augustus, when the Romans established the army station Veldidena (the name survives in today's urban district Wilten) at the locality named Oeni Pontum or Oeni Pons, which is Latin for bridge (pons) over the Inn (Oenus), the important crossing point over the Inn river, to protect Via Claudia Augusta, the economically important commercial road from Verona-Brenner-Augsburg. Innsbruck became the capital of Tyrol in 1429 and in the 15th century the city became a centre of European politics and culture as emperor Maximilian I moved the imperial court to Innsbruck in the 1490s. Many old buildings from the Middle Ages and modern times survived in the heart of old town. Every city comes with a country. How is this one doing in terms of giving back to the global community? Our friends at The Good Country Index measure what each country on earth contributes to the common good of humanity, and what it takes away, relative to its size. Start today with Teleport Zen. Teleport Zen is a personalized to-do list and moving guide. We've got you covered from job search and apartment hunting to visa advice.